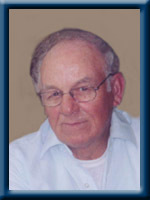 MacLeod, Daniel Frederick, 78, of Liverpool, Queens County, passed away on Tuesday, November 29th, 2011, at home. Born in Liverpool, he was a son of the late William and Arlene (McLeod) MacLeod. Dan joined the Royal Canadian Air Force right out of school spending five years in the service before moving back home and going to work for Berwick Bakery. Following his employment with the bakery, Dan went to work with Dominion Stores where he became store manager then moved on to TRA. Dan then went to work at Stenpro in the machine shop, retiring in 1998. He loved hunting, fishing, playing cards and working in his garden. He is survived by his loving wife, Joyce (Oickle); daughters Myra (Leslie) Foley, of Lafayette, Louisiana, Katherine MacLeod-Tucker (Barry Tucker) , of Coldbrook; son Peter MacLeod (Dennis Wyatt), of North Vancouver, B.C. ; sister Helen Roberts, of Liverpool; brothers Jack (Ellen), of Milton, Bruce (Judith), of New Brunswick; and four grand dogs. He was predeceased by a sister Mary; brothers Robert and Maurice. To Joyce and Family so very sorry to hear of Danny’s passing !Our deepest sympathy goes to you and your family at this difficult time! I’ll always be your little red-haired girl! I’ll miss you daddy! Please receive my condolences Joyce on the passing of your husband. Sympathy to your family. Sorry to hear of Danny’s passing. Condolences to the family at this difficult time. So very sorry to read of Danny’s passing, although when I was talking to you not too long ago, you said he wasn’t well. He is in a better place now, free from pain. Please accept our condolences at this most difficult time. My thoughts are with you!Just remember how happy Dan was this fall with all his children around him!! Our deepest Sympathy goes out to Joyce and her family sorry to hear about Danny’s passing may he rest in peace as he is home at last. Sorry to hear of Danny’s passing. Our Sincere and Deepest Sympathy to you and all the family at this most difficult time. I send forth my heartfelt condolences to you Joyce. You and hubby are fond memories of mine. I will light a candle for him this evening. you are in my prayers and thoughts. I also send a special hug to Kathy. Know you are also in my thoughts and prayers. God Bless all of you in ths time of sadness. Know he is no longer suffering and he smiles down on all of you. Joyce and Family….Please know that our thoughts are with you at this difficult time…God Bless You. Joyce and Family: So very sorry to hear about Danny’s passing. Memories of the good times we used to have at Spencer and Freeman’s places playing cards will always keep our memory of Danny close to our heart and make us think of him with a smile or two. Dear Joyce & Family: So sorry to hear about Dan’s passing. Our thoughts and prayers are with you. God Bless You. We are so sorry to hear of Danny’s passing.He will be missed by all who knew him but will not be forgotten.Our condolences go out to you all.Remember the good times. so long to a wonderful neighbor. We will miss you Danny. Joyce and family so sorry for your loss., My thoughts are with you at this sad time. Thinking of you and your family as you deal with the loss of your husband and father.Though the days to come will be difficult, I hope as time passes, you will remember the many good times you had with Dan. My thoughts are with all of you at this time. Joyce and family….We just heard of Dannys passing..Please except our sympathy. I am so sorry for your loss. I wish you all nothing but the best at this difficult time. we were so sorry to hear of danny“s passing.Have faith that God will help you through this hard time.Our prayers are with you. Joyce and family…so sorry for your loss, my prayers and thoughts are with you during this difficult time. We were very saddened to hear of the passing of Uncle Dan. If there is anything we can do for you please let us know. Know that he is waiting above for you. With much love, admiration and just plain sadness we will remember him as the uncle that always stopped for a friendly hello and chat on the side. We will miss him. Myra and family please accept my heartfelt sympathy in regards to the death of your loved one. I was so sad to hear of Danny’s passing.my thoughts and prayers are with you all at this time….remember your good times.. So sorry to hear of Dan’s passing. Our thoughts & prayers are with you all. May God be with you all at this time of sorrow. Please except our sincere condolences at this sad time. He will be missed. So sorry to hear of Dan’s passing. Our deepest sympathy to you all at this most difficult time. Take care. Dear Joyce and family .Our thoughts are with you in your time of sorrow ..Harry was glad he had a chat with Danny the other week .He was alway”s a great person. May you now rest in peace, you will be sadly missed. Our thoughts and heartfelt prayers go out the family at this time. Joyce and family.I know how hard the next few days will be.You all are in our thoughts and prayers.We will be thinking of you all. So sorry to hear of Dan`s passing. Look to God for the hope and comfort He so freely gives to all who put their faith and trust in Him. he will never let you down. I was surprised by the news. I always enjoyed my visits with you and Danny. I never left your house not laughing and smiling. I was so saddened to hear about Uncle Dan passing. Can remember how he used to have the swing in the backyard that Kathy and I would play on while the dog ran around the backyard. I’m sorry that we all didn’t get back to see him one more time before he passed but it was good seeing him at mom and dad’s 50th anniversary last year. Our prayers are with you all at this time. God bless! Joyce and family……I was saddened to hear of your loss. May you find peace and comfort in the family and friends who surround you during this difficult time. Our thoughts are with you at this most difficult time. Joyce We are So sorry to hear of Danny passing. We send Our deepest sympathy to you and the family. He is in a better place and without pain. God Bless! My Dear Joyce…..I was saddened to hear of your loss. Dan will be sadly missed but fondly remembered by all that knew him. I will always remember that twinkle in his eye when he laughed. I still have my picture of Dan and I and You and I. I will always cherish them. So sorry Joyce & Family for your loss. Dear Joyce and family,So very sorry to hear of Danny’s passing. I am so sorry for your loss. My prayers are with you. Kathy and family … My thoughts are with you all..
Dear Joyce and family I am sorry to hear of Danny passing My thoughts are with you at this most difficult time..
Joyce, I was very saddened to hear of Danny’s passing. My thoughts and condolences to you and your family. So sorry to hear the loss of Danny. Please know our thoughts are with you all at this time. Take care knowing he is in a better place.